This new version of Musictube brings many refinements and bug fixes. On Windows and Linux the menu bar is now hidden by default. A Chrome-like toolbar menu contains the few items that are not readily available in the UI. 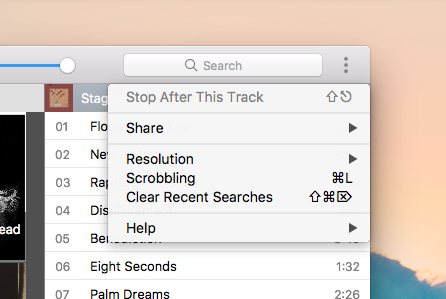 If preferred the menu bar can be easily restored by choosing “Toggle Menu Bar” (ALT). I whipped up a new, more colourful icon. Let me know what you think about it! Acouple of seeks ago I bought musictube, I didn’t know there was a limit as to how many times I could use my license. SI would like to have it on may home PC and remove it from my laptop so I don’t exceed the license couynt. Is this possible?? Please post bug reports and feature requests in the Forums. For technical support, bug reports and feature requests you can post in the Forums. Want to give feedback? Use this form! Or ask me a quick question on Twitter. Please, don't use Twitter for licensing issues and things that will ultimately require your email address.